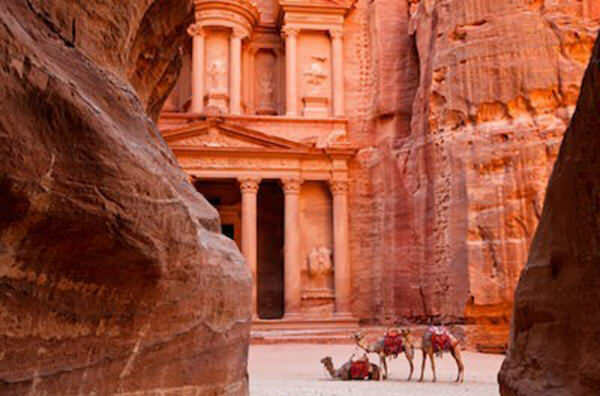 No visit to Jordan is complete without a visit to the rose-red city of Petra, one of the wonders of the world. This UNESCO cultural heritage site was carved from the pink-hued stone more than 2,000 years ago. The best way to enjoy the unforgettable city of Petra, is on a private tour with the full attention of your personal guide. 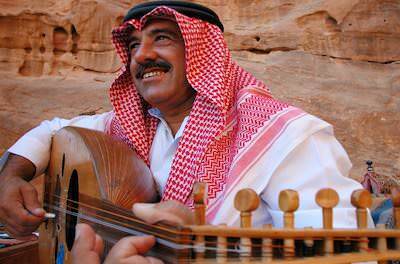 Petra is located 225 km (140 mi) south of Jordan’s capital city Amman. 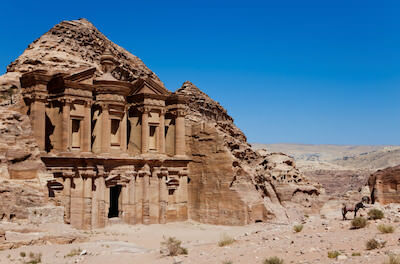 Petra once dominated the trade routes of ancient Arabia. Your visit to this hauntingly beautiful place begins with a walk through the Siq, a narrow path that was once the main entrance to the city. 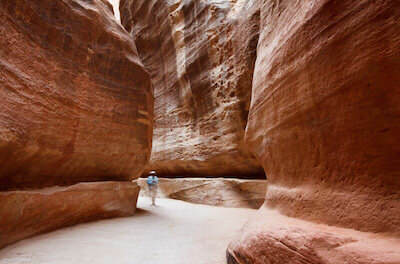 An impressively long, deep and narrow gorge of stunning natural beauty, the Siq is hemmed in by cliffs soaring up to 80 m (263 ft), and measures 1.2 km (0.75 mi). At the end of the Siq, you will see the Treasury, El-Khazneh, which was believed to hold countless treasures. Your first view of El-Khazneh is absolutely breath-taking, so have your camera ready! Other monuments you will see in Petra include the theatre, Altar of Sacrifice and the royal tombs.